Today, millions of people woke up, switched on their phones and digested the latest news from around the world. I was one of those people. What I read each day tells me we live in turbulent times. Mandela first made this statement in 1990 and repeated it more than two decades later in Johannesburg in 2003. Malala’s quote came a decade later, in 2013. It makes me wonder: Is the value of education a lesson that the world refuses to learn? Do we need constant reminders of the power of education? In my day-to-day life, I know that my education has had an impact on a local level. It has helped me get a job and pay my bills. But, what about on a global level? What about us? What is it about international education—given the current challenges we are facing—that will allow it to really have an impact on the world? How do we end extreme poverty, fight inequality, and fix climate change? I am in awe of the many inspiring people—like Mandela and Malala—who have a gift: the ability to draw others together from around the world, invite them in, learn from each other, commit to shared goals, and take action to help us face a multitude of challenges together. But can we do more? 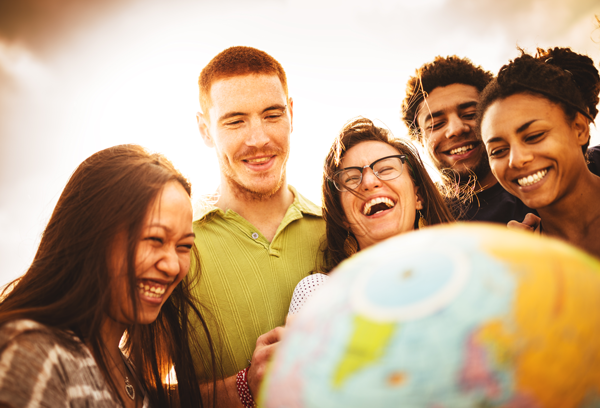 In today’s world, unless it’s in our news feed or packaged neatly in a quotable meme, we may not hear about many great initiatives nor make the connection between this work and how it relates to international education. During my time as an intern here at the IB, I’ve come across so many inspiring stories about the students, alumni, schools, and educators who really are making a difference and having an impact. 193 world leaders agreed in 2015 to work towards 17 United Nations Global Goals for Sustainable Development, including a quality education for all. I was excited to discover that curriculum designers here at the IB are embracing and incorporating the UN Global Goals into their courses to ensure that students embrace them as part of their learning experience. It’s in the early stages, but the Organisation for Economic Co-operation and Development (OECD) has invited the IB to collaborate and provide educational thought leadership for their initiative Future of Education and Skills: Education 2030 with a goal to prepare students for increasingly rapid economic and socials changes to come. Ellen MacArthur is my hero. So when I discovered that in addition to sailing the world single-handedly, she is also leading the way with her exciting and ground-breaking work on circular economies, and she was speaking at an IB conference, her hero-status was elevated even further. Her Foundation works with businesses, governments and academia to build a framework for an economy that is restorative and regenerative by design. And … she is also collaborating with the IB, to incorporate innovative thinking around circular economies into the IB’s Diploma Programme curricula for both geography and economics. There are so many IB student stories to choose from that demonstrate extraordinary creativity and innovative solutions to address the UN Global Goals for Sustainable Development. It was hard to choose but this one in Kenya stands out for me. MYP students aged 14-16 years at the Aga Khan Academy showcased 80 innovative projects (yes, 80) including a solar-powered airport for Mombasa, an electrostatic precipitator to control air pollution, and a bump detector gadget to reduce road accidents. If you want to read more, there are so many more here on the blog, take your pick). It’s true that we live in turbulent times, and there is a lot to fix. But we must stay positive, get involved, and connect with those around us who are doing both simple and extraordinary work that contribute to a better future. Mairianne Walker is an IB Diploma graduate from Hasseris Gymnasium, Denmark and is currently completing an internship with the IB Global Communications and Branding team in The Hague, Netherlands.